Uncategorized – Barolo Boys- A wine film by Paolo Casalis & Tiziano Gaia (64', Eng Subs) – Available Now! 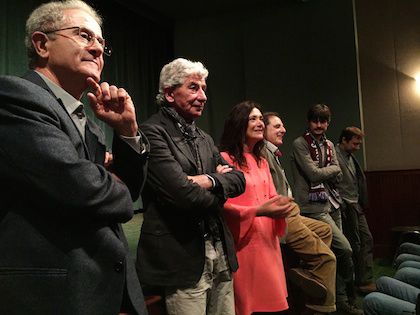 Some of the protagonists of “Barolo Boys” (L to R): Elio Altare, Domenico Clerico, Chiara Boschis, Marco de Grazia. In 1983, a chainsaw echoed across the hills of the Barolo region. No humans were harmed in this Barolo massacre: Elio Altare took a chainsaw into the cellar of his family’s winery and cut up the large botti, or large wooden casks, often leaky and fetid, that his father used. He brought in barriques, the small wooden barrels more frequently seen at that time in Burgundy or Bordeaux. His father subsequently disinherited him. This dramatic rupture with the past is captured in the pages of Barolo and Barbaresco, the essential and timely new book by Kerin O’Keefe. The chainsaw-wielding is also depicted on-screen in the new Italian documentary about the region, Barolo Boys. 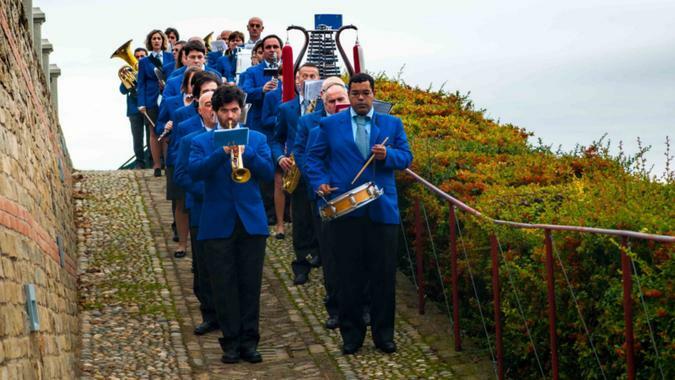 The movie, screened for the first time in New York City on Monday, portrays the events of Altare and others as they ushered in a “revolution” to Barolo’s winemaking. A “war” broke out between the “modernists” and the “traditionalists.” This young Turks threw out the old casks, brought in barriques, but also started green harvesting in the vineyard, the process of dropping bunches of grapes to concentrate flavor in the remaining ones. The resulting wines were darker and denser but also flashier, fruitier with more obvious polish and immediate appeal than pure charm of nebbiolo, which is notorious for needing decades in the cellar to coax out. If wanting to make wines more hygienically was a big push–Altare’s daughter talks in the film about how farm animals and a leaky oil-furnace shared the cellars with the wines–these wines also needed the pull of a commercial outlet. And the film makes clear this was the United States, where critics and consumers lavished praise on the new style and opened their pocketbooks for the wines imported by Marco de Grazia, among others. 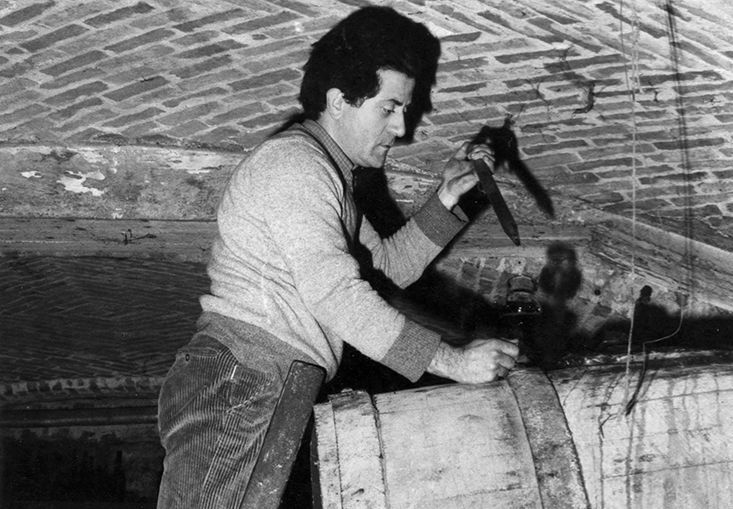 While the stylistic clash was heated for a while, it has largely been relegated to the compost pile of history: many of the “modernists” now use larger formats than just barriques, incorporating both new and used barrels, while some of the “traditionalists” do things such as green harvesting, even if they remain steadfast in their use of botti or other larger format vessels for aging. In a discussion after the screening, the protagonists present agreed that the conflict was good for getting increasing interest in the area’s wines. Elio Altare cast the rift in a different way in comments after the screening, “There are two types of wine: good and bad.” There was an outburst of applause in the room. He continued, “It’s personal taste. I must find the people in the world who drink wine with my taste. I don’t make wine for everybody: I make wine for my taste!” This slightly defiant tone paled in comparison to Joe Bastianich, the film’s narrator, whose last words are “the fight goes on.” The director said he took some liberties with that line and was intended to reprise the “journey” that he invited viewers on in the film’s opening segment. 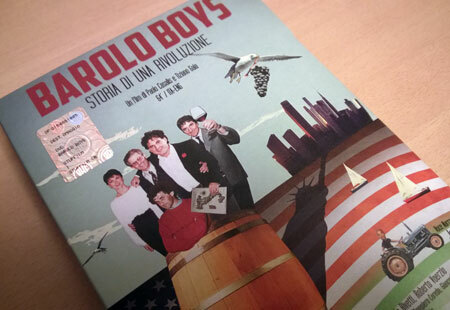 For the first time on the big screen, Barolo Boys: The Story of a Revolution tells the fascinating story of a group of friends who started a revolution in the Langhe, and how Barolo exploded as a world phenomenon. Now one of the most famous red wines in the world, 30 years ago Barolo was unknown even in its own production region, the beautiful Langhe, in northwestern Italy. Barolo’s current success is mainly due to the courage and initiative of a group of small-scale wine producers, the so-called Barolo Boys. In the optimistic Eighties, these winemakers upset the quiet world of the Piedmontese countryside and brought about a revolution in Italian wine, igniting a fierce controversy between different generations and different ways of thinking. Barolo Boys: The Story of a Revolution traces the short but intense trajectory of a group of producers who indelibly changed the world of wine. Chi l’ha detto che le Langhe sono solo vigne? Bellissimo evento quello che si è svolto nel tardo pomeriggio di ieri al cine-teatro Santamanzio di Travedona. Alle ore 17:00 c’è stata la proiezione del film Barolo Boys-Storia di una rivoluzione, dove il regista Paolo Casalis è riuscito a concentrare in 64 minuti più di trent’anni di storia del Barolo, dando voce ai protagonisti “attivi” ma anche “passivi” di questa rivoluzione, con una chiave di lettura attenta, dinamica, incisiva e mai sopra le righe. In seguito ci siamo divertiti con l’assaggio di tre Barolo frutto di stili e di annate diverse. Abbiamo cominciato con il calore e l’avvolgenza del San Lorenzo di Verduno 2011 dei Fratelli Alessandria, abbiamo continuato con la forza e la potenza della 2006 di Elio Altare e chiuso con la grazia e la suadente della 2002 di Chiara Boschis. Grinta e tenacia con tantissima eleganza in un vino frutto di un’annata non facile.